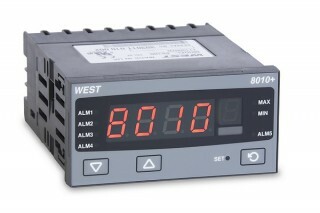 The West 8010+ digital panel process indicator provides a high contrast, high visibility display. 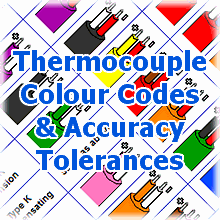 The indicator is designed for optimal ease of use in a wide variety of temperature and related process applications. The instrument provides a user selectable dual colour display option with fixed red or green displays or a green to red colour change when an alarm condition occurs. The 8010+ provides a jumperless configuration, plug in output boards and an efficient PC configurator for quick and simple setup. Additionally, plug-in modules allow PV retransmission or transmitter power supply and up to 4 alarm relays (which can be configured as latching or non-latching). Also available in this range is the 1/16 DIN size West 6010+ indicator, see the datasheet below for more details.